Steam is a very popular gaming platform which gives you access to many different titles, both by well-known developers and by indy developers. Valve Steam is not just a platform for purchasing games, but also a way to access custom user-created content for different purchased games through the Steam Workshop platform. It provides both free games and commercial titles. 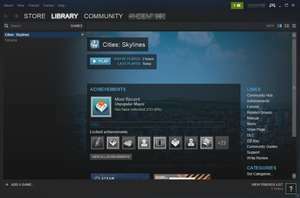 Installing Steam for Windows is an easy task. Version 2.10.91.91 is a freeware program which does not have restrictions and it's free so it doesn't cost anything. For security reasons, you should also check out the Steam download at LO4D.com which includes virus and malware tests. Additional screenshots of this application download may be available, too. Steam download been highly rated by our users.